This project was another commissioned by one of our long term clients. It is located on the Great Ocean Road, just outside Lorne.The brief was to maximise the use of the existing building, and to provide additions to support the operations of a bakery and café/ restaurant, additional to the long term General Store use. The other part of the brief was about creating a comfortable and enjoyable place for people to come together. 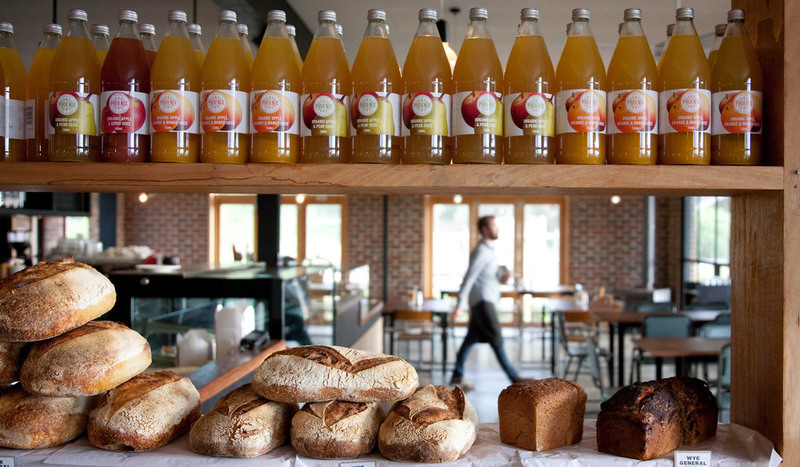 The Wye River Café and General Store has become the local community hub for the area. Tactics are adopted that make people of all ages and backgrounds comfortable, whether they are locals or tourists. Further, the architecture accommodates the contingencies of Wye River’s climate. For Six Degrees, this project was conceived as more that a retail and hospitality space, but as a flexible precinct, a place configured to draw the surrounding spaces together. The Wye River Store fits into the great tradition of the ‘true’ general store. The store (people, food and spaces) has become a valued place on the Great Ocean Road.